PSN is serving up some digital goodies this week, particularly for RPG fans. First we have Sacred Citadel, a side-scrolling beat ’em up/RPG based in the Sacred world. 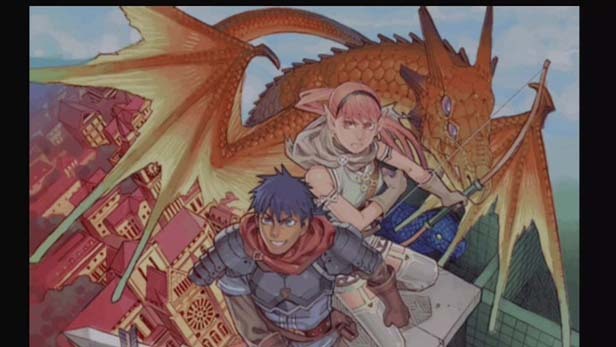 Next up is Dragon Fantasy Book I. Originally released on iOS, indie developer Muteki Corporation has ported the game to PS3 and Vita complete with Cross-Buy support. For the creative types and those who would like to dabble in their own indie development, RPG Maker III will see release as a PlayStation 2 Classic title. Also out this week on PSN we have Injustice: Gods Among Us, the DC fighting game from Mortal Kombat developers Netherrealm Studios. Plus, if you miss the old FMV titles that you loved on the Sega CD (let’s face it, who doesn’t? ), Mad Dog 2: The Lost Gold will be available this week! And… what’s this? The demo for Soul Sacrifice, the new action-RPG from Marvelous AQL and Keiji Inafune, releases in time to (hopefully) tide us over until the Vita title’s April 30th release. You can view all the latest PSN releases on the PlayStation Blog.